Astrology 102 – All things metaphysical. Are you a Gemini? A Leo? A Pisces on the cusp of Aries? Whatever your answer, it was most likely your sun sign. Almost everyone knows their sun sign. Nearly all references to horoscopes in American culture focus exclusively on this aspect of astrology. However, did you know that there are two other MAJOR components to your horoscope that you may have been neglecting? In fact, they are as equally important in how you view the world (and how the world views you). I am talking about your Moon sign and your Rising sign (also know as your Ascendent sign). In astrology, the sun represents life, vitality, force, action, and the energy we put out into the world for all to see. The Sun holds our solar system together. Just as the planets of our solar system rotate around the Sun, some astrologers consider our Sun sign to be the center of our personality. Our sun sign is a major factor in our lives since this represents our active personality. By exploring our sun sign, we can examine our mental states and better understand ourselves. The Sun cannot be hidden. Just as the Sun reveals itself with its radiant, blinding light, the personality traits we show people most are those shown through our Sun sign. This is why when you read your horoscope in a newspaper or magazine it always references our Sun sign. Most people have a Moon sign that is different from their Sun. For example, my Sun is in Gemini and my Moon is in Scorpio. This explains why people with the same Sun sign can be, and often are, so different from each other. Sometimes when people read a description of their Sun sign, they feel it is not a good representation of them. It may feel incomplete, or even completely inaccurate. Moon signs may provide a much more accurate description of what a person is like. The moon itself has no light; it reflects the light of the sun. In a similar way, our Moon sign represents the vast potential within us that is often obscured in darkness. Thus, our Moon sign reveals insight into our shadow selves. The Moon represents your instinctual self, which many people keep hidden – even from themselves. Some astrologists define our Moon sign as our unconscious. Moon signs help define our emotional development, or express the unconscious side of our personality. It explains why we do what we do. If, by chance, your Moon sign is the same as your Sun sign, it amplifies the traits of that sign. This would make you a “double” of your Sign, such as a “double Gemini.” If your rising sign (more on that later) is also the same sign, then you are a TRIPLE of your sign (like my husband, who is a triple Gemini). On points where your Sun and Moon Signs are compatible, they work together to help you get through the hardships and accomplish your goals. Where they are not compatible, you may feel conflicting desires or be at odds with yourself in some way. Your Rising sign, otherwise known as your Ascendant, is the zodiac sign that was rising on the eastern horizon at the exact moment you were born. It varies depending on the minute of your birth. Only when you know the exact time you were born can your Ascendant sign can be calculated to the exact degree. Your Rising sign appears as the very first personality traits you exhibit as a child. However, as you grow and change, your Sun sign gradually becomes more noticeable to others.Some astrologists believe that the Sign becomes noticeable weaker after a person reaches 30 years of age, as their confidence grows in who they are. The Ascendant can be likened to your public image, or the mask you wears in public. It provides the most insight as to the first impression we make when we meet new people. Interestingly, the Ascendant can even influence your appearance! The Sign becomes expressed in your image, style, and mannerisms. Some believe that if your Ascendant falls closer to the beginning of the sign, the effects of that sign will be felt more strongly. This is also true if the Sun is in a weak position in the birth chart (such as if the individual was born at night). Likewise, it is also thought to be weaker when the individual is born towards the end of the sign’s Ascendancy, just before the next sign appears. What is your Moon and Rising Sign? Has your curiosity been piqued? Are you ready to see your full astrological profile? Visit the following websites to learn more about your birth chart. You will need to review your birth certificate to have the information needed to craft a precise birth chart. If you would like a full astrological profile, which includes a birth chart analysis, I can provide you with a custom report. These reports are typically about 8-10 pages in length. To do this, I will need your name, date of birth, time of birth, and place of birth. These reports are $30 and will be completed within 2-3 business days. 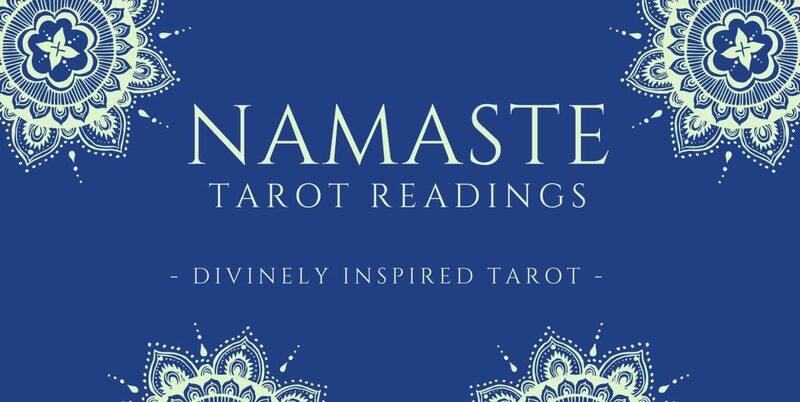 Send your requests to namastetarotreadings@yahoo.com. I am currently accepting new tarot clients. To learn more about booking a reading with me, please visit my website or stop by my Facebook page.